In the past, there were limited options when it came to living out your senior years independently. You could either move into an independent living or assisted living facility, or you could hire private care helpers on your own. Many seniors found these options either too controlling or too expensive. Thankfully, times have changed, and so have the options available. Today’s seniors can remain comfortable in their own home and still receive the help they may need thanks to Friendship At Home, a new service that guarantees the right help when it’s needed. Planning for your future doesn’t stop when you reach a certain age. Mature adults are now realizing the importance of coming up with a plan to handle those “what if’s” of life that often occur due to an accident or illness. Be proactive when it comes to the way you will live your life as you age. It’s time for you to choose how, and where, you will spend the rest of your life. Enjoy the luxury of staying right where you belong — at home — no matter what health care needs arise. There are many benefits to independent living facilities, especially for seniors with little or no outside help. The facility allows seniors to remain independent in their own room (or apartment) while still enjoying the benefits of meals, companionship and health care. But what if you could have all of that in your own home? Friendship at Home is similar to an insurance policy that covers your future home health care and living needs, up to full nursing home care. Become a member now and pay a monthly fee, and when a need arises, your individual care coordinator will make all the arrangements to get the help you need, up to and including full nursing home care…in home! No one should be forced out of their home just because they want a long-term care plan. Friendship at Home believes that independence is the key to a long and healthy life. When you reach a mature age, having the right amount of assistance can spell the difference between a challenged life and an active, more fulfilling life. 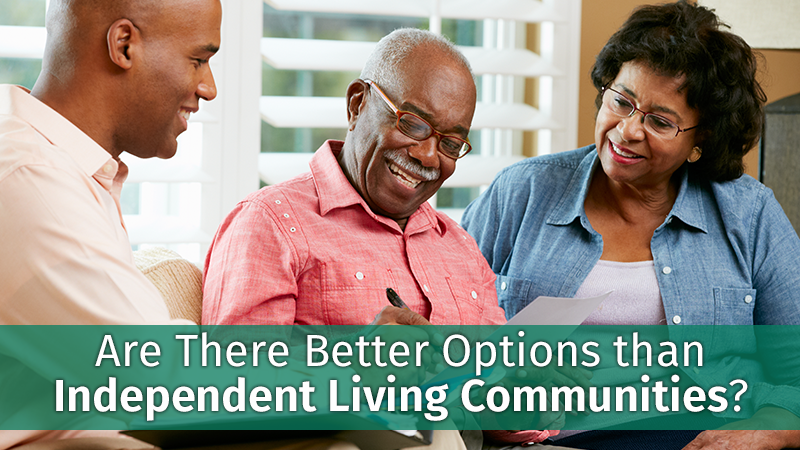 To find out more about how you can enjoy the kind of independent living you want and receive individualized care coordination, contact Friendship at Home for more information about membership.